Here it is, friends. The Girl with Blog family’s exhaustive list of all their Advent calendars! Around here we love our countdowns and I can’t seem to quit adding to the collection. We have a few more that aren’t included on this list simply because they are no longer available, and I just don’t think that’s fair to tease you with! But these are my family’s honest, every day, what we actually use resources during Advent to keep us centered, rhythm-d, and in the Spirit. 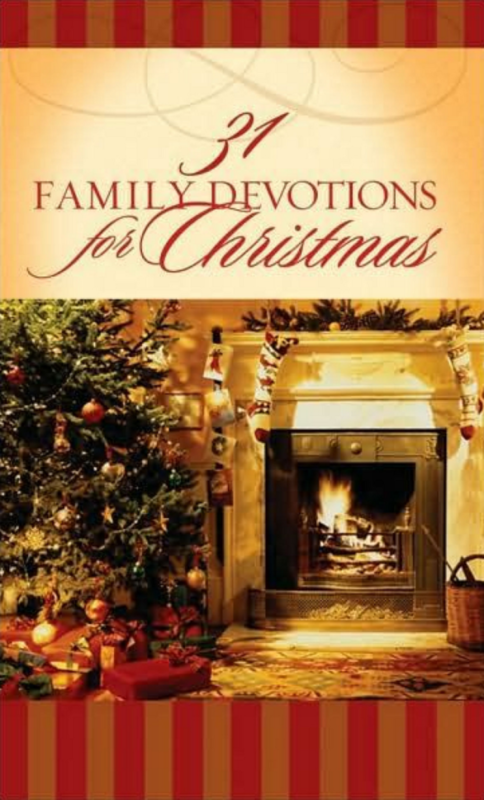 31 Family Devotions for Christmas, by Marilee Parish: Jared and I have used this little book for years now. I was so sad to see it out of print, but if you dig around you can find a copy (and it’s worth the digging!) Each day has a short devotion, a recipe and a family activity. We read it out loud together every night and it’s one of my very favorite parts of our Advent. A Moment of Christmas, by Anna Rendell 😉 I do read my own words. They’ve always come from a place of ‘this is what I need to hear, so it’s probably what someone else needs to hear too’ which serves a heart well. 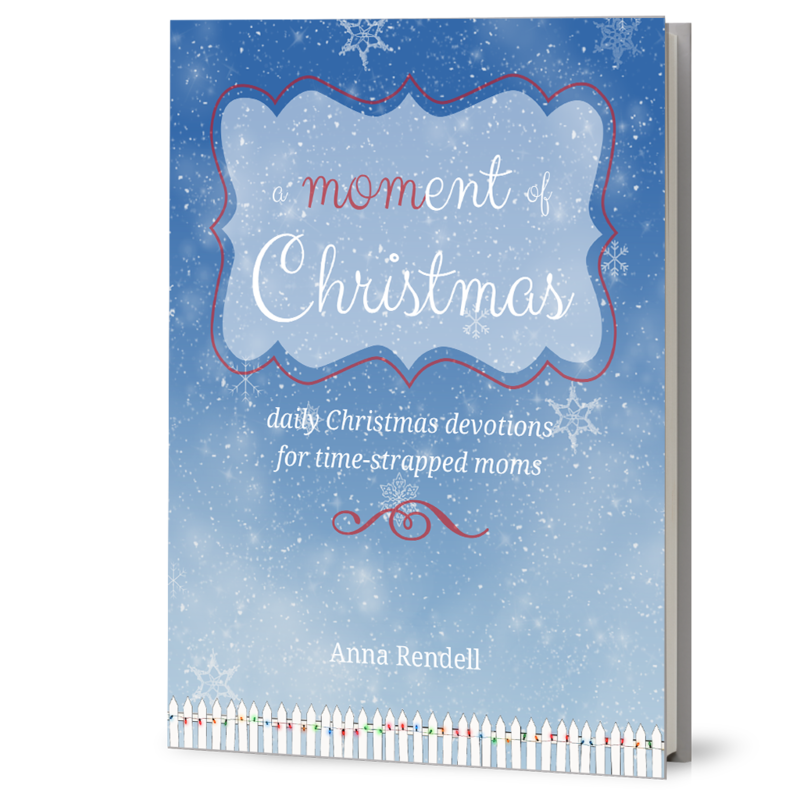 I’m absolutely honored that so many women chose to include my words, my book, in their own countdown to Christmas preparations. 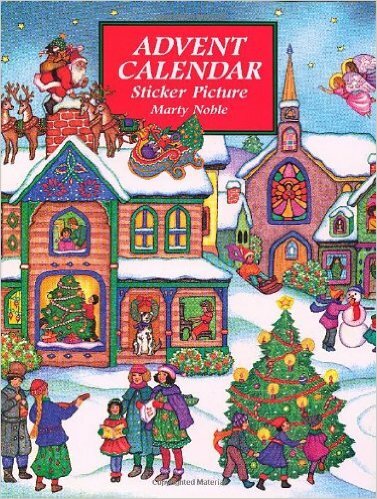 Advent Calendar Sticker Picture Book: at $.99, this was a no-brainer. We used this last year and Sam really looked forward to adding a new sticker to the scene each night before bed. You can often find these little books at gift shops like the one in Cracker Barrel. 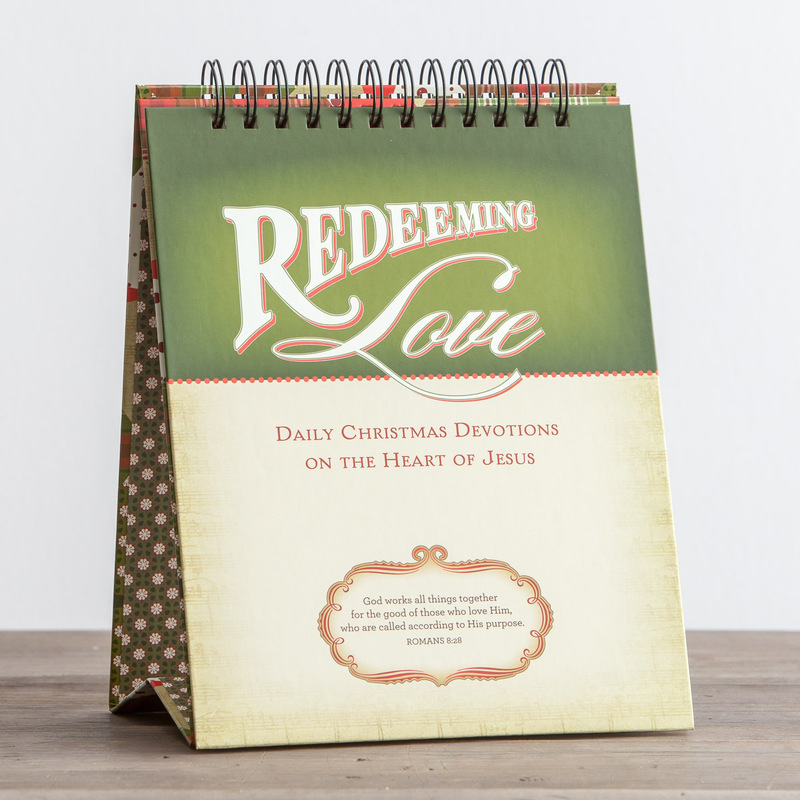 Redeeming Love Tabletop Advent Calendar: I love this one. Short + sweet daily devotions for each day leading up to Christmas, and it’s a great conversation starter too. 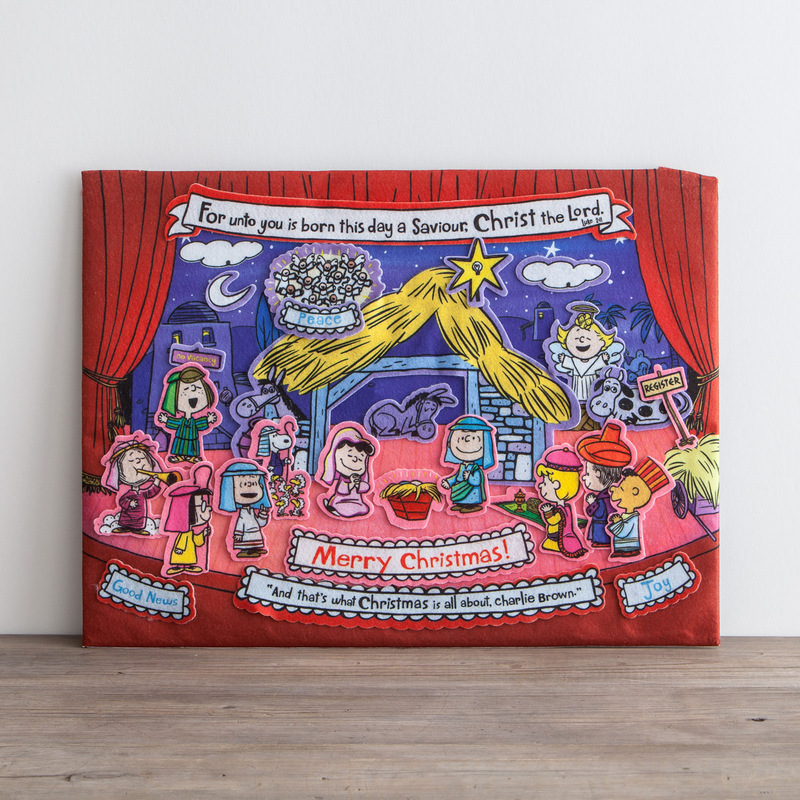 Peanuts Christmas – Story of Christmas – Felt Advent Calendar: this one was new to us last year and it was a BIG hit. At just under $40, it’s an investment, but it is really nice quality, comes with a bag to store all the pieces in, and my kiddos played with it all season long. It’s also bigger than it appears to be, which is nice. Can’t wait to bring it back out! 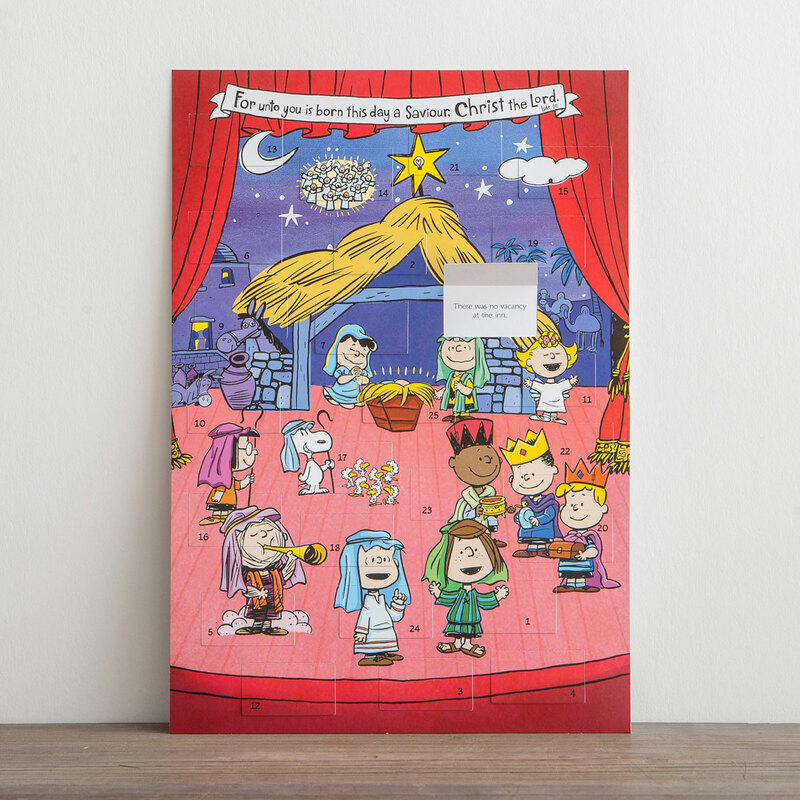 Peanuts Christmas – Advent Calendar: I’ve purchased this one for my Sam boy in the past. He loves opening the little doors each day, and of course, it’s his beloved Peanuts. And at $3.99, totally worth it. Ann Voskamp – The Greatest Gift – Paper Ornament Set: Last year Jared and I used these paper ornaments based on Ann Voskamp’s new book, The Greatest Gift, which walked us through the Jesse tree. I didn’t really know what that was, and her book + these beautiful ornaments added a new layer of meaning to the end of our days. I strung up a string of beads across a patio doorway, then hung each ornament up every evening. They were quite lovely and I’m really looking forward to journeying here again! We also have a beautiful Advent wreath with candles, and light the appropriate candle each Sunday during Advent. We’ve used paper chains, books, and those old-school chocolate daily calendars, but these are our tried & true faves. It may sound like a lot of things, but I appreciate the rhythm each of these add to our December days. And if we miss a day – so what?! Grace, friends, especially at Christmastime. Are you an Advent calendar person? What do you use to count down the days to Christmas? I’d love to hear your favorites in the comments! Counting down to Christmas adds a rhythm to our evenings & keeps us in the Spirit. <–tweet this! 8 ways to count down to Christmas, from @anna_r! #LessStressHolidays <–tweet this! 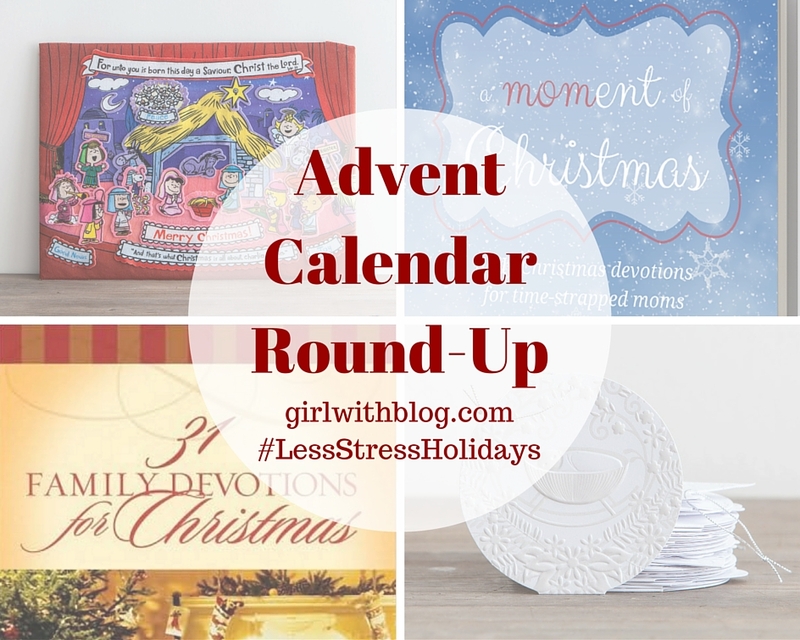 This post is part of my 31 Days to a Less-Stress Holiday Season series. Make sure to subscribe via email and follow this Pinterest board (it will have each post + graphic as they go live) so you don’t miss a single post! Aren’t those ornaments just gorgeous?? Love the depth they brought to our Advent last year. We have one from Starbucks (a few years ago) with little drawers. It came with chocolates in it the first year, but since then, I’ve added my own items to it. 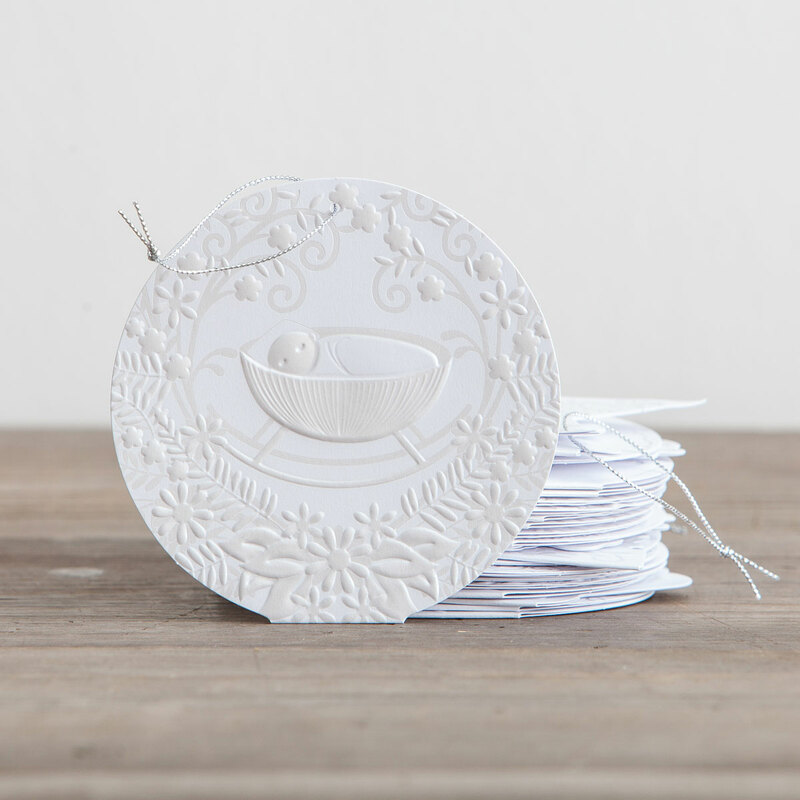 Sometimes something spiritual – like the paper ornaments for Ann Voskamp’s etc, or sometimes something fun, like quarters and candy. I need to check out the Ann Voskamp Jesse tree. And the devo from DaySpring looks awesome too. Oh, I think you’d love the Ann Voskamp book. Let me know if you read it this year!